Happiness used to be considered an elusive, “unscientific” subject matter for scientific study. However, since late 1990s, happiness rose as a hot research topic not only in the field of psychology and sociology, but also in the field of economy, business, and computer science. In 2009, French President Nicolas Sarkozy commissioned Nobel Prize winning economist Joseph Stiglitz to come up with an objective way of measuring people’s happiness level, and positive psychologist including Martin Seligman and Sonja Lyubomirsky developed questionnaires that measure overall happiness. 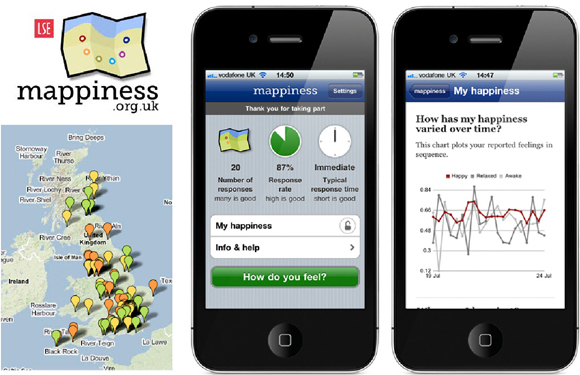 Mappiness, an iPhone app that maps happiness across space and time, is another interesting example that shows the increased interest in measuring people’s happiness. The application beeps as many times a day as the user sets it to do so, and users submit how happy, relaxed, and awake they are along with other information including location and activity they are doing. It is quite exciting how this methodology enables spontaneous survey participation in the middle of everyday life. This method also has potential to help people become less self-conscious when they report their emotional conditions. While many researchers are still largely dependent on participants' self-report to measure emotional conditions, computer scientists develop and utilize high-tech instruments that measure non-verbal cues that provide hints of one's emotion. One of the most popular cues that scientists have explored is people's expressive reaction such as facial or vocal expressions. Paul Ekman (born February 15, 1934), a psychologist, advocates there are some universal facial expression patterns that indicate basic human emotions including anger, disgust, fear, joy, sadness, and surprise. He also developed the Facial Action Coding System (FACS) to taxonomize every human facial expression. 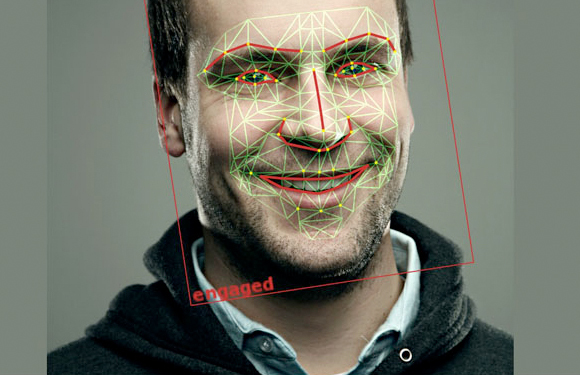 Based on his theory, many computer scientists developed software that automatically detects and interprets one's emotional condition by using computer vision. 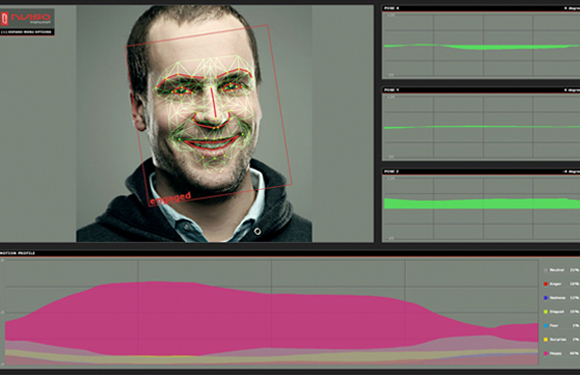 Affedex is one of those examples developed by MIT’s Media Lab Affective Computing Group. 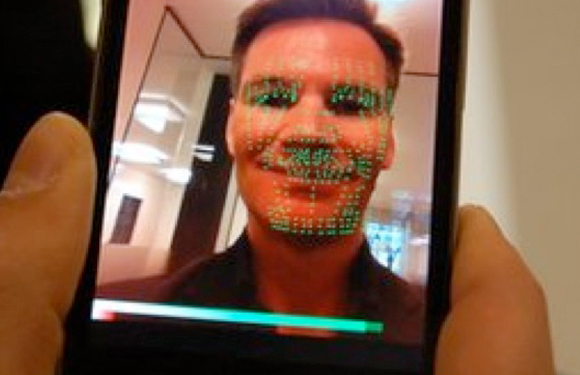 as either "positive" or "negative"
The implications of this technology are quite versatile. Paul Ekman initially used his system to find out liars by detecting microexpressions, and MIT Media Lab used it to help people on the autism spectrum better understand the emotions of others. Most recently, market researchers attempt to use this technology to gather more objective data reflecting the customer's emotional reaction to their products. Besides facial expressions, scientists also pay attention to physiological manifestations such as heart rate, skin response and Cortisol level to measure emotions. Among these, happiness researchers often measure the Cortisol level because Cortisol is a steroid hormone that is released in response to stress. The increase and decrease of this hormone are used to evaluate one's happiness level, and also to evaluate the effectiveness of happiness boosting strategies. I agree that these non-verbal cues can be more objective signifiers in revealing emotions, because they are less likely to be edited by participants' consciousness and assessment. However, I am not sure how much this method will be effective in capturing nuanced or ambivalent emotional conditions. Emotions are multifaceted phenomena consisting of multiple components including behavioral reactions, expressive reactions, physiological reactions and subjective feelings. So, in order to gain a truer understanding on emotional conditions, we should not be overdependent on this limited set of data as a source of interpretation.